look at this babe. first of all, the most important thing about Jerrica Benton is that she is a great and wonderful person. she is strong and she gets past the death of her father and is not just willing but HAPPY to inherit his foundation for young girls, Starlight House. this is a HUGE as HELL responsibility. Jerrica is great and loving and cares to help these girls and continue being a good person just like her father. Jerrica inherits half of Starlight Music, where she gets the funds to support Starlight house, but it’s not enough. Luckily she inherits one more gift from her father – Synergy. Synergy helps her and her sisters/friends to become Jem and the Holograms and she uses her hidden pop star personality to CONTINUE being the nicest best person ever, I learned so much from Jerrica Benton and Jem and the Holograms and I love it. I love Jem as much as I love myself. I understand that things have to change in order for Jem to keep up with the times, but a rising web star? ok. but for real Jem is confident and strong and she wouldn’t be too weak and shy to post a video of her singing. also where is starlight house?? is her dad okay? so many questions. 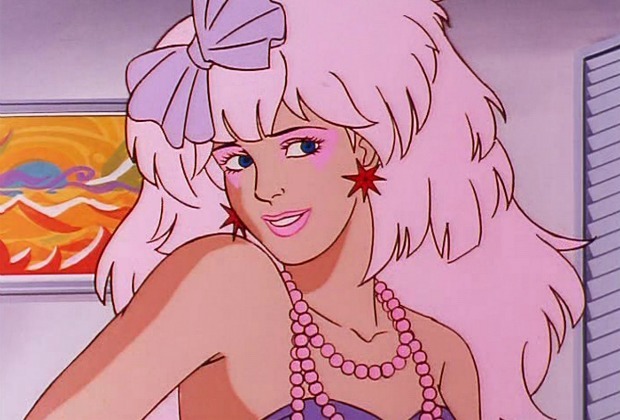 in the original Jem, Jerrica was proud of Jem being a positive role model and she wasn’t like “this isn’t who I am….” she had some issues with Rio possibly liking Jem better but nothing like “BEING JEM MAKES ME FEEL LIKE A BIG POSER”. I understand that this needs to relate to the teens/preteens but is it hard to make a positive rolemodel relatable? STARLIGHT HOUSE BETTER BE INVOLVED. Jerrica was such a wonderful friend to the girls of Starlight house and she taught them and viewers so much about accepting themselves. the whole point of Jem is that she is a positive, good, nice person. please. PLEASE. please. OH AND P.S. WHERE ARE THE MISFITS? WE. NEED. THe. MISFITS.